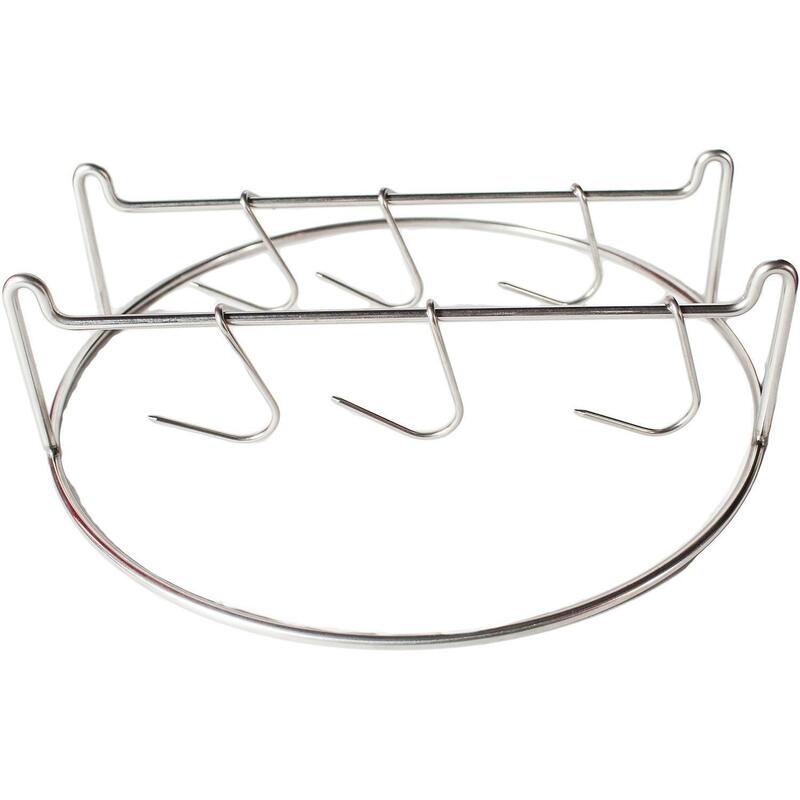 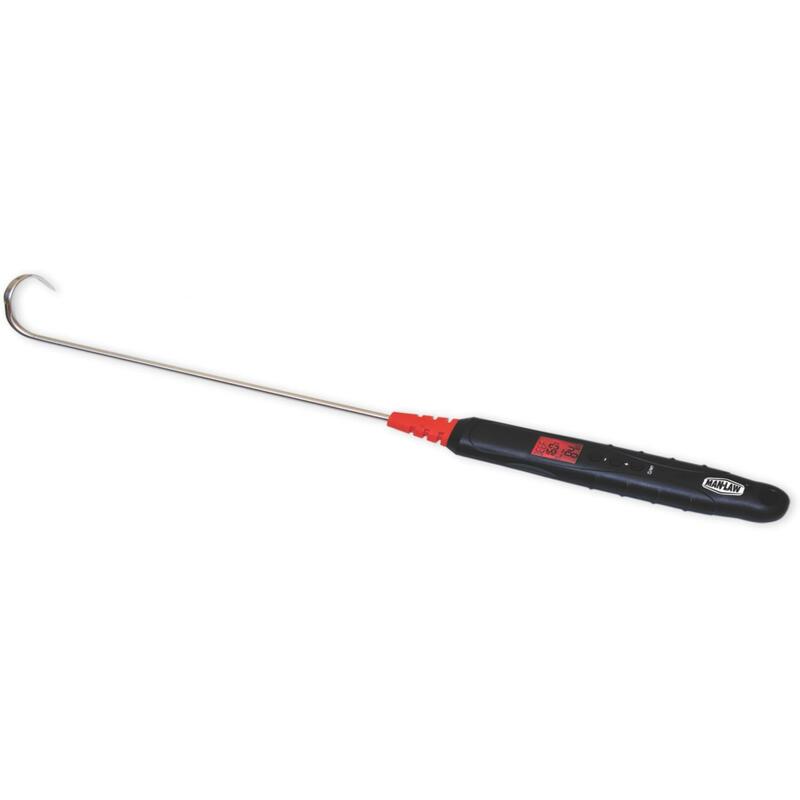 Product Description: 18-Inch Meat Hook With Rosewood Handle. 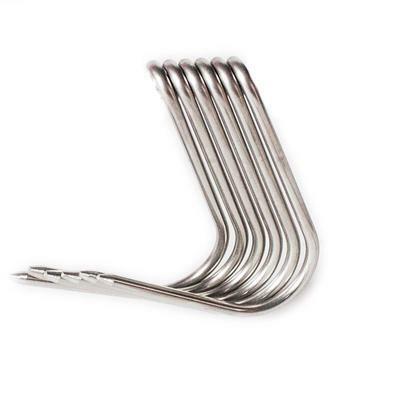 The meat hook does the job of a tong, fork, and spatula all in one! 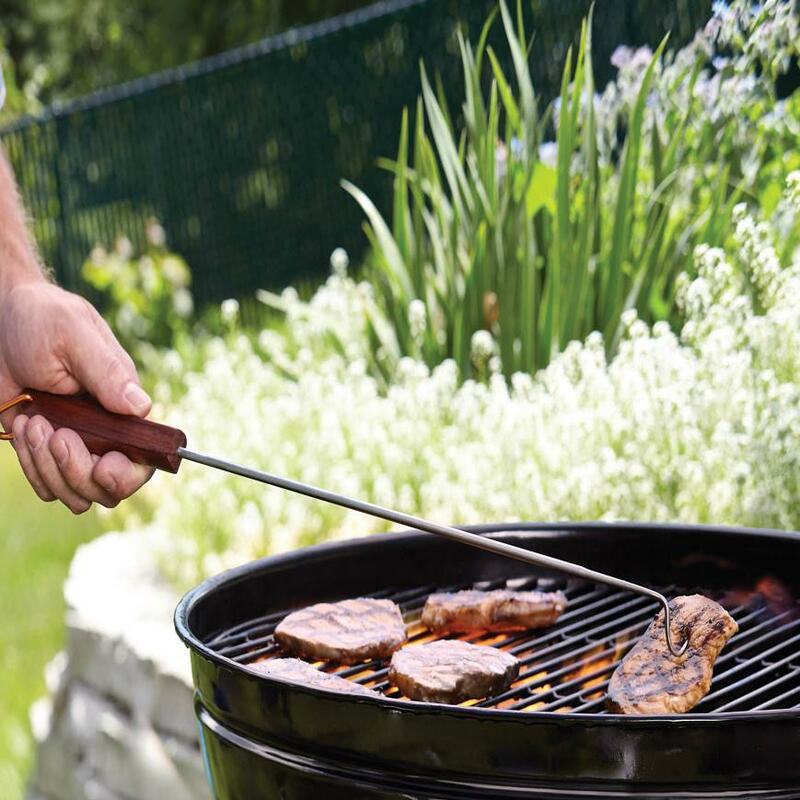 With a simple twist of the wrist you can turn the meat on the grill.